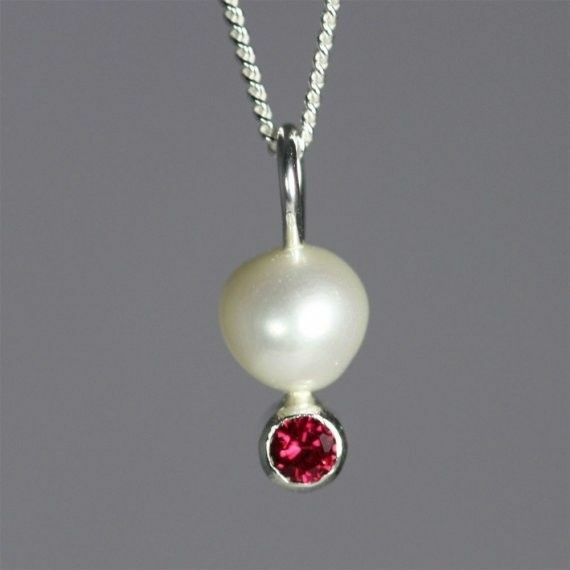 Sterling silver pendant with a 3mm faceted Ruby stone set at the bottom. A freshwater pearl sits on top of the stone. Comes on a 16 inch sterling chain with the artist's tag attached at clasp. Pendant is about 1/2 inch long. Very dainty and elegant.